Thailand - Writing & Art - Where in Our World? 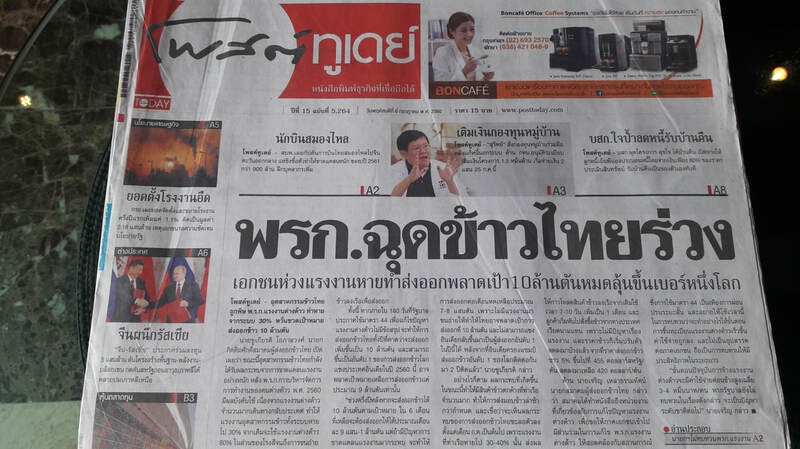 There are 44 consonants and 32 vowels in Thai. The script used to write Thai is beautiful but as the letters are very similar it can be hard to distinguish between them. When writing there are no gaps left between words and instead of a full stop, gaps are left between the end of one sentence and the beginning of another. There are no capital letters either. Signs are sometimes written in only Thai but sometimes they are written in English and Chinese as well. In Thailand lion statues are often found in front of temple gates. They were placed there to guard the temple. 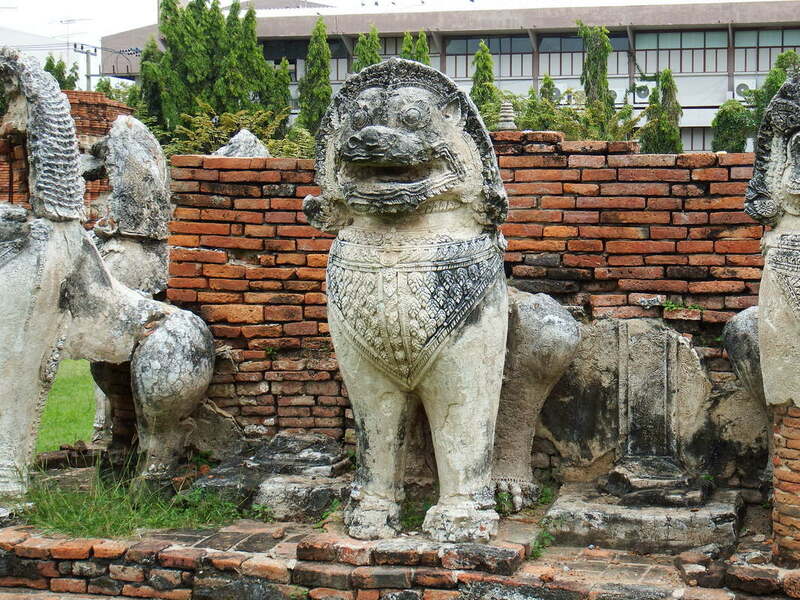 The design of lions found in Thailand are similar to those found in Cambodia. 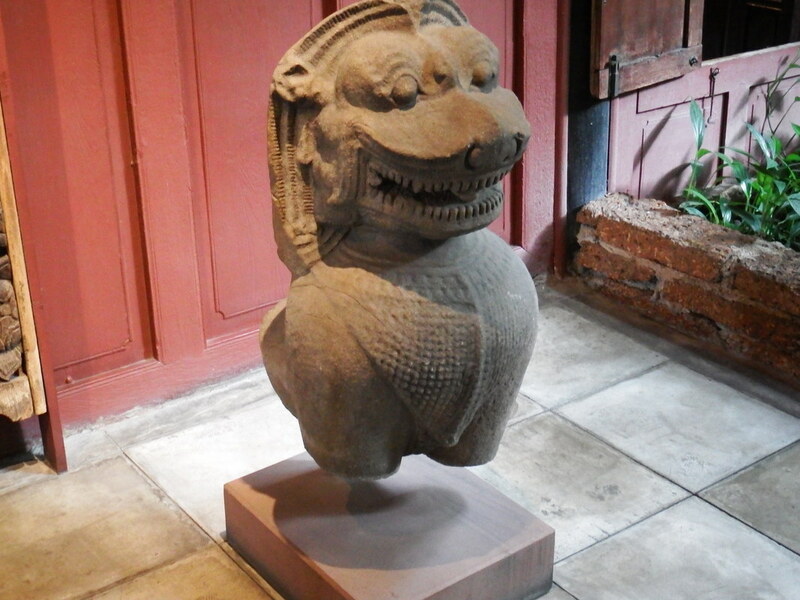 This is because this style of art found in Thailand came originally from the Khmer art of Cambodia. Sculptures can also been seen in many places. As elephants were considered very important it is common to see sculptures of elephants in Thailand. This is a privately owned building in Chiang Rai. The original temple was in such bad repair that an artist bought it and renovated it in a contemporary style. Many tourists visit it each year. ​Some people like to try out batik painting and parasol painting for themselves and bring home their artwork.